So, my employer takes full advantage of anyone going from Atlanta to Sarasota on I-75 in June and asks them to turn off at Georgia exit 142. 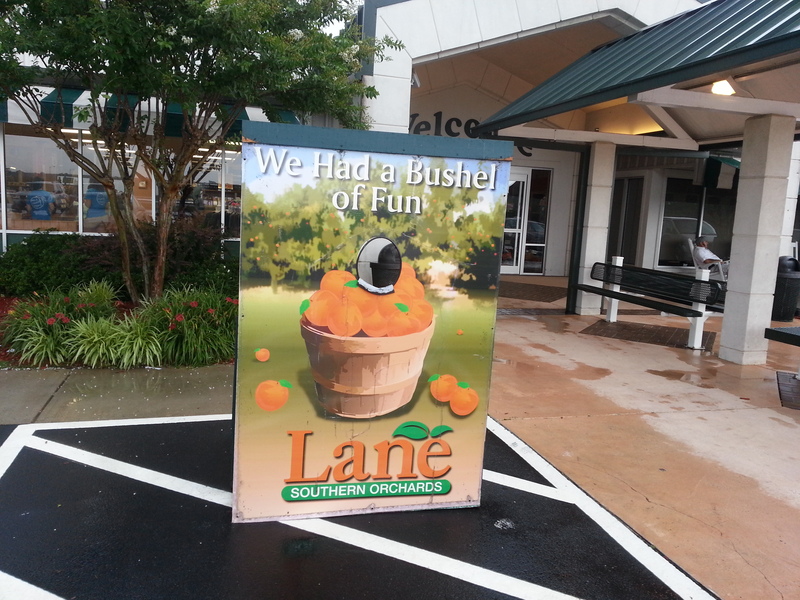 Five miles west is Lane Southern Orchards. The family has been operating their store/packing company for five generations and it has become a very impressive place, and a wonderful side trip for travelers. Early peaches are being sold now and that is what my employer wanted me to get for her. I had to get a couple boxes for myself as well. We had some vicious rainstorms during our travel that day and got to Lane Orchards just in time to load up the peaches and have supper at their cafe. My salad was so big I had to divide it into two meals to conquer it. 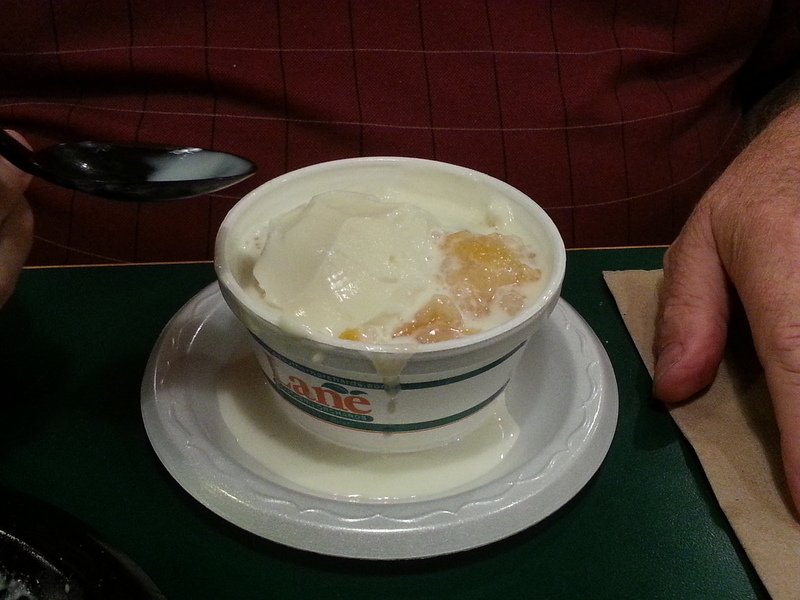 And of course, we had to have peach cobbler, with ice cream. Of course. The husband’s only complaint was that there was too much peach and not enough cobble. I didn’t mind that. This is the second day since we bought the peaches and they are just starting to get soft enough to enjoy eating. They are soooooo good and if you are local to me you are probably going to want to stop in at my place and have a peach. Do it. I don’t mind. I’m giving them a prize for having the neatest, cleanest, prettiest place around… just sayin’. 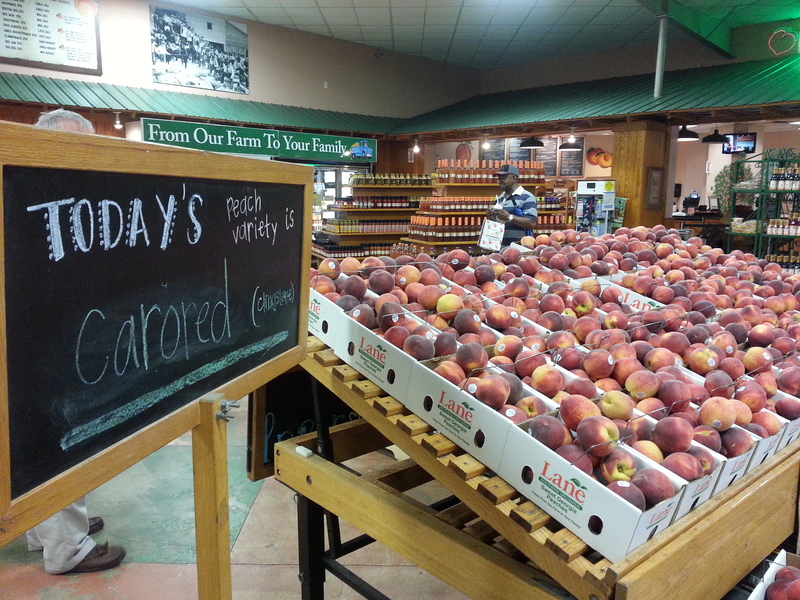 This is a variety called Carored and they are perfect looking peaches! 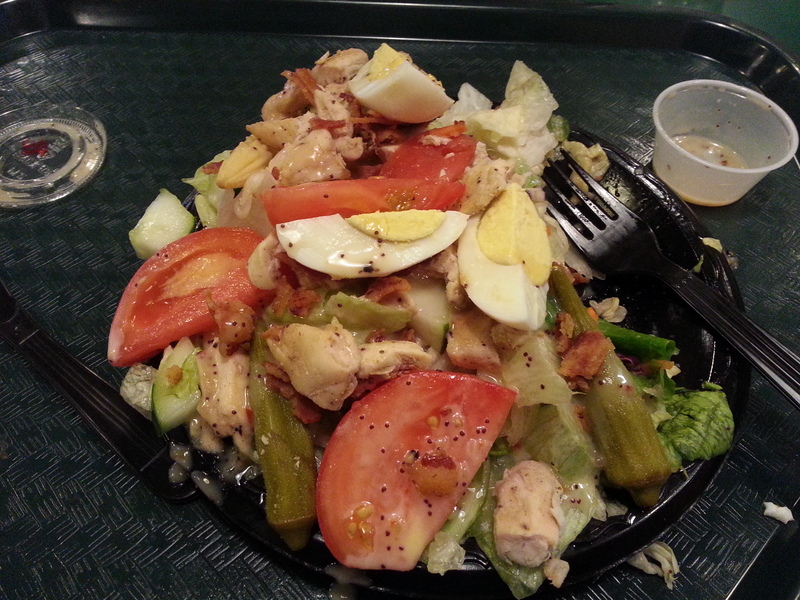 I am full after about a third of this Lane Cobb Salad. Warm peachy cobbler, melting ice cream, already half gone.